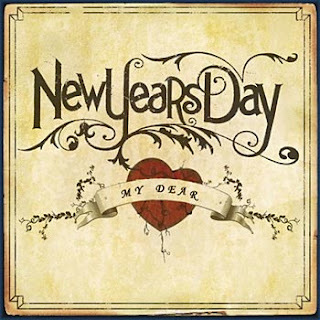 Who doesn't love New Year's Day? We're at the top of the calendar. We're on page 1 of a new year. We've erased from our minds - or learned from - the last year, and usually are glad to put it behind us and move on. Who doesn't love a fresh start, a clean slate, a new run on life? Even if you aren't in the habit of making resolutions, the start-over feel of January 1st simply can't compare with any other day of the year. By tomorrow, most of us are back to work, back to life, back to the daily grind, whatever that may be. Some of us love our daily grind, others not so much. I'm finally old enough to realize that soon and very soon, life is going to hit me smack in the face again. January 1st will be over, and January 2nd is going to feel like any given day I had last year. That newness will be gone. The fresh quickly becomes stale. But only if I let it. The resolute in "resolution" comes when it's February 11th and we are still sticking to the way we wanted to do life differently when the ball dropped. And then when we're at July 30th and we look back and say, "Yes! I've done what I promised myself I'd do, by God's grace and with His help. I am so glad I did this." And our faith grows and our trust grows and we even start to believe in ourselves a little more than we did before. True excitement comes when it's December 31st and our pondering over the past year brings joy to our hearts and smiles to our faces. Not necessarily because it's been an easy year, but because we've been true to who we are; we have spent the past 365 days living an authentic life. We've not let ourselves down. We are who God made us to be and we are not afraid to show it and we have gone through the past year letting Him shine through us each and every day. To live a life like this is my heartbeat for 2012. I don't enter into it lightly, but I am entering into it. More details to follow on what I mean by that. I'd love to have you join in and together, we can see where we are on December 31st, 2012.